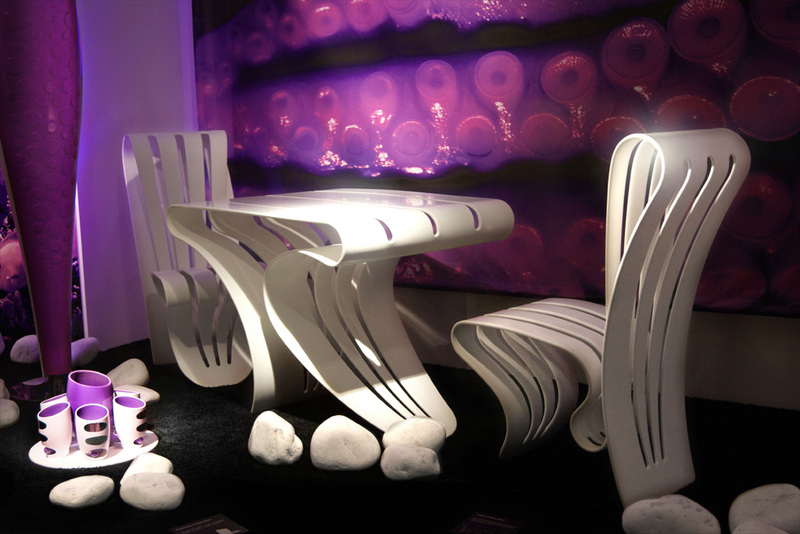 Like bending leaves, soft and flexible, this high sculptural series of DuPont™ Corian® furniture with table and chair designed by Giancarlo Zema in exclusive for LUXYDE they are realized in solid surface – A contemporary material shapes precious unique pieces, brightly coloured, like the flexible-backed chair that fits itself to the body. 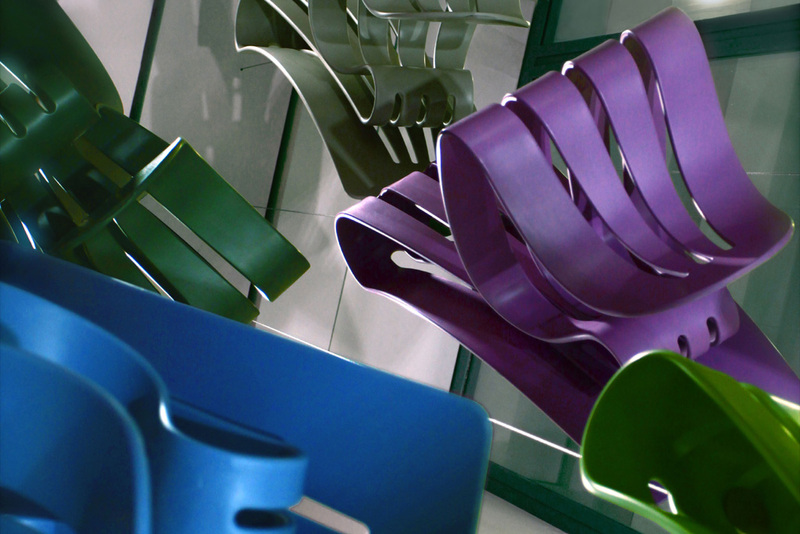 The collection is an exclusive signed and numbered limited edition of n.120 chairs and n.60 tables. Available in several colour of Corian, they are ideal for collectors and design lovers for the most exclusive interior decoration, from villas to exhibition galleries. 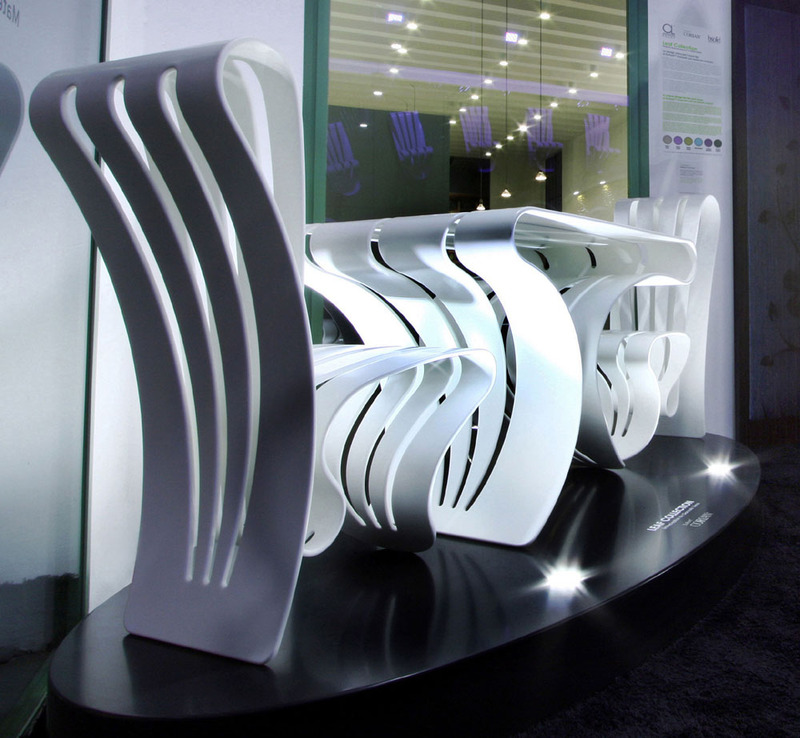 DuPont™ Corian® table and chair – The main characteristics of this special design are soft lines that clearly recall biomorphic forms. 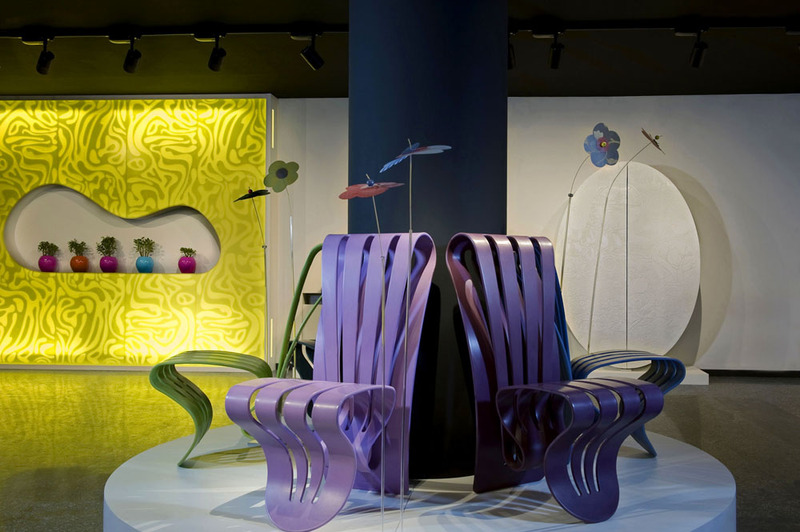 Collection realized in thermoformed Corian solid surface. A recyclable composite material made of 2/3 alumina trihydate and 1/3 acrylic polymer, making it extremely resistant to impact as well as mould and bacteria. In case of deep scratches or serious material damage can be restored. Corian furniture, table and chair – Product care – Use a damp cloth with a mild cream abrasive cleanser. Always act in a circular motion. Never use abrasive or scouring cleansers containing strong acids, silver cleansers, organic solvents such as etylic alcohol, acetone, turpentine, ammonia.